Support Groove FM and get your computer running better by grabbing yourself a copy of the PC Cleanup application from our associate business: The Business Edge NZ ltd.
For 3 years I've been working on how to get people's PC's running faster and more reliably without them having to spend virtually any time setting up settings or reading instructions. Make a donation of only NZ$25.00 and we'll send you a copy as a thank you. (Approx US$17.30 as at Apr 2016). Often avoids the need to wipe the PC Hard drive and start from scratch! The PC cleanup solves this by covering all the bases, doing them all in one hit, automatically! An experienced Technician doing the same thing manually would take at least a couple of hours but now, after 15 seconds setup once, you can just 'double click' and walk away, confident that no area's of potential slowdown or glitch are missed! With the 'Enterprise' or 'Per user' licence, hundreds of machines can be run remotely at a set time (e.g. over night), taking less than a minute to set up with the free, simple remote kickoff module. "My PC is running brilliantly after you ran the clean up - start up is much quicker and no problems during the day with crashes etc- thanks!" - User in NZ Government dept. How much is it then? The special price for Groove FM listeners is: $25 per PC instead of $28 for a single 5 year licence! NZ$500 for a Site licence useable by unlimited users on an unlimited number of machines. Click the button below to pay securely by credit card or Paypal. You'll then be taken to a download location and can immediately use PC Cleanup. In addition, a 5 year licence key will arrive by email within 24 hours. If you prefer, you may call or email us with credit card details or we can provide bank details to pay into. (See the notes on running it at the bottom of the page). Runs a disk defragmentation once the drive is cleared out if fragmentation is 1% or higher whether the machine is 32 or 64 bit. Re-boots and runs a Check disk and repair prior to launching Windows. This can fix a number of issues such as 'Blue screens', applications crashing etc. The PC is left at the login screen, ready for you to log in to your faster PC! Save time and hassle with the PC Cleanup! Just save it somewhere on your C drive. (In a corporate/networked environment, copy it to a network location - 'Per user' or 'Enterprise' licence needed). the age of user profiles to ignore (in days - the default is 150). This means that, if you have different people that log in under different usernames, anyone who hasn't logged into the machine within the last 150 days (5 months or whatever number of days you set) will have their data removed. If you are unsure, set this value higher. any profile names (Usernames) that you want to make sure it will leave alone as well (Usernames are listed in the 'C:\Users' folder or 'C:\Documents and settings' for windows XP). Administrator and system accounts are left intact by default. Any Profile names entered here will be kept intact regardless of the number of days entered above. Whether you want full (verbose) or summary logging in the C drive log (i.e. The name of every file deleted outside of the local profiles and Recycle bin or just the total number of files deleted). You can just press 'Enter' to accept the defaults. This only happens once but these settings are saved for the future so they don't have to be entered each time. Although much care has been taken, the nature of the application is that it deletes files and so, as you should in any situation, you agree to backup important files elsewhere. Although unlikely, we cannot be held accountable for any loss or damage incurred from using this software. You will not reverse engineer or sell the application. 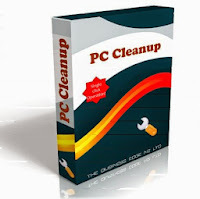 The current version of PC Cleanup has been tested for use on Windows XP, Vista, 7, 8 and 10.